Here at Simply Teeth, our goal is to provide you with the latest dental treatments that are available. We know that dental technology offers a number of benefits for our patients. The combination of these modern dental technologies with traditional practices allows us to offer innovative treatments to improve your experience in the dental office. Dr. Dhaval Patel and the rest of our staff provide the modern dental solutions that you are searching for. These technological advances are offered in a comfortable dental environment, helping you to be relaxed throughout your dental appointment. One modern technology that we offer is a digital x-ray machine. By using digital x-rays instead of traditional x-rays, it is possible to reduce the radiation by 90%. Additionally, our staff can access the digital images instantly, allowing you to avoid the long wait previously required to develop the traditional x-rays. We use these digital images to identify potential problems that might be located in hidden areas of the mouth, such as within the gums and between the teeth. This technology makes it easier than ever to find abscesses, tooth decay, gum disease, tumors, and more. Small digital cameras can be beneficial in a variety of situations, and we use the intraoral camera to take images of your mouth. These images can be enlarged, giving us a closer look at your dental health. 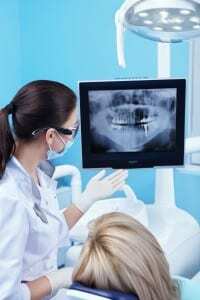 We can examine the images together, helping you to see the dental problems that might be present. When a root canal is performed in our dental office, we offer a modern treatment known as rotary endodontics. The procedure is completed with an electric hand piece, which is an advancement compared with the manual files that have been used traditionally. As a result, the root canal can be completed faster and the drilling noises are reduced. If posterior restorations are needed, we can use the sonic fill technology during the treatment. This single step composite system makes it possible to do a bulk fill without using a capping layer. The composite materials incorporate special modifiers that are designed to react to sonic energy. As you can see, we offer a number of dental technology solutions to make you more comfortable during your appointment in our dental office. For more information about the technology that we use, we invite you to call our office any time.